New Zealand has the highest rate of youth suicide in the developed world. 80% of our native birds are threatened with extinction. 27% New Zealand kids are living beneath the income poverty line. In 2017 $62 billion dollars of Electronic Card transactions were processed. Taking a cut at 2–4% per transaction, multinationals such as Visa (New Zealand) and Mastercard (New Zealand) declared profits and tax of less $200,00 NZD in 2017. Currently 95% of businesses in New Zealand are small businesses. Transaction fees that utilise the Credit Card rails directly affect a merchants bottom line as this is a fixed cost. Yes, that means that every time you pay with your trendy Tap and Go, Paywave, Apple Pay or any in store or online transaction with your debit card, this charges merchants directly a 2–4% fee for the convenience. There is currently no other alternative and these fees are going straight offshore. Contactless payments have increased 20% in New Zealand in the past 12 months and this trend is only continuing. Choice aims to provide an innovative contactless payment solution linked to your bank account. By utilising QR codes you will now be able to transact with the swipe of your camera. So what is Choice doing about this? Choice is empowering people to make a difference every time they pay. We aim to reduce transaction fees for merchants, and enable consumers to allocate a percentage of their transaction fee to a charity of their choice. You have the choice to make a difference every time you pay. Utilising NEM.io blockchain technology we are creating a trust based, transparent value transfer for New Zealanders. New Zealand once lead the payments revolution with the mass adoption of EFTPOS in 1984. Utilising New Zealand as a global incubator, Choice is excited to bring a globally scalable impactful payments solution to life. The team has recently secured $1m NZD in non-equity funding from the NEM.io Foundation and community. This global blockchain powerhouse has recognised the merit that Choice is bringing to the table and through a successful community fund proposal they are adding significant fuel to the fire. We are excited to be part of the Kiwibank Fintech Accelerator 2.0! The Choice team is excited to surround ourselves in the “Digital Switzerland” of the southern hemisphere as part of the 2018 KFA cohort. Our proximity to regulators and small business in the bustling Wellington CBD is a major part of maintaining the momentum of Choice. 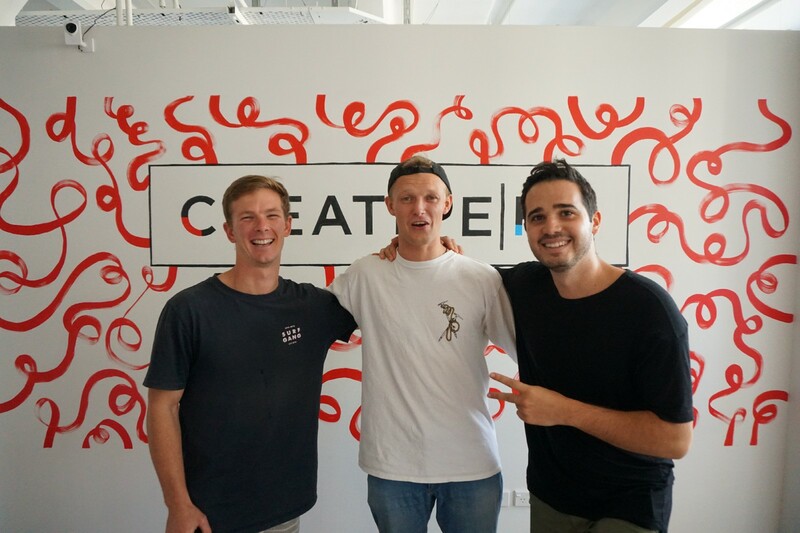 The awesome team at Creative HQ have continually provided above and beyond support for our mission. They run arguably the raddest accelerator and incubator programmes in the country! We love Kiwibank’s motto of Kiwis helping Kiwis and we believe we can deliver a tangible solution that can enable every New Zealander to help another New Zealander every day. SO! What is our BHAG, Big Hairy Audacious Goal? Choice wants to oust multinational electronic card transaction providers who operate without purpose from New Zealand and beyond. We will start by providing value to Kiwis for Kiwis every time they pay. Thinking BIG but acting small, the Choice team is looking to roll out in consciously consuming cafes one cup of coffee at a time. So next time you are tapping and going — take a second to imagine the difference you could make by paying with Choice. A choice to pay is now a choice to make a difference. Merchant or Consumer? Drop your details into the Choice website to be kept in the loop. Passionate about social enterprise. I am excited as to how we can utilise technology to greatly increase the communication of social impact.